Georgia’s landlord tenant law is not as in-depth as that of some other states. While it does have some laws regarding a tenant’s right to rent disclosure, it does not have many. Even if these rent terms are not required by law, it is in a landlord’s best interest to include them as part of the lease agreement. Here is what Georgia landlords should disclose about the rent to their tenants. Rent Amount: This is the amount the tenant has agreed to pay to the landlord every week, month or year in order to live in the leased premises. Term of Lease: The rent clause should specifically state how long the lease is valid for. It should include the start date, as well as the end date. If a yearly lease converts to a month to month lease after the year is up, that information should also be stated in this clause. When Rent Is Due: When the rent is due each period should be spelled out in the lease agreement. For weekly tenants, this could be the first Monday of each week and for monthly tenants, it could be the first day of each month. Forms of Payment Accepted as Rent: The lease should spell out what forms of payment the landlord will accept as rent. In most cases, the landlord must accept as least two different forms of payment as rent. For example, the landlord could accept an electronic funds deposit or a money order. Where Rent Is Due: How the tenant should get his or her rental payment to the landlord should be listed in the lease agreement. Will the landlord pick up the tenant’s rent at the tenant’s dwelling unit? Is there an office or other location where the tenant should drop off their rent? Should the tenant mail the rent? Georgia landlord tenant law does not specify any rules for grace periods in the state. It is therefore up to each landlord if he or she will allow the tenant to pay the rent after the due date without penalty. Most grace periods range from three to seven days to pay the rent after the due date without penalty. Again, Georgia does not have any specific rules when it comes to the landlord’s ability to charge a late fee if the rent payment is not made by a certain date. It is up to the landlord if he or she will charge a late fee. Late fees must be reasonable. A $1000 late fee on a $1000 monthly rent payment is not reasonable. A $50 late fee on a $1000 monthly rent payment is reasonable. Georgia’s landlord tenant law does cover bounced checks. If a tenant writes a bad check to the landlord, the landlord must usually provide written notice to the tenant which includes a statement which is detailed in Georgia’s bounced check clause, §13-6-15. This clause notifies the tenant that their check has bounced and gives them ten days to make a cash payment to the landlord. This cash payment must be for the amount of the original check, plus a service fee of $30 or 5 percent of the check, whichever is greater, plus any additional fees charged by the bank or financial institution. If the tenant fails to make this payment within the 10 day period, the landlord may file a suit against the tenant to recover the unpaid funds plus up to two times the amount owed or up to $500, whichever is more, plus court costs. Georgia does not have any specific rules for how and when a landlord in Georgia can increase a tenant’s rent. To increase a tenant’s rent a landlord would usually have to give a tenant advanced notice so that the tenant has the ability to terminate the lease agreement if he or she does not consent to the lease agreement. 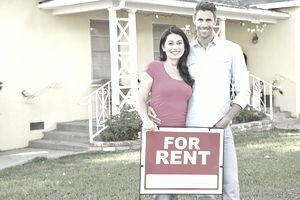 For example, it could be assumed that a Georgia landlord would have to give a monthly tenant at least 60 days’ notice before increasing the tenant’s rent because this is the amount of notice the landlord must give in order to terminate the lease agreement. Discriminatory rent increases are never allowed. This means increasing a tenant’s rent because they belong to a certain class of people or increasing the rent because the tenant performed an action, such as complaining about a health violation at the property, which the landlord did not appreciate. A landlord in Georgia can file to terminate a lease agreement as soon as the tenant has failed to pay their rent. The tenant has seven days after receiving this summons to pay the rent they owe in full. If this occurs more than once during a twelve month period, the landlord is not required to accept the rent and can go ahead with the eviction. If the tenant does not pay the rent owed within the seven-day window, the landlord can proceed with the eviction. Under Georgia law, no county or municipality can regulate how much a landlord of a privately owned single family home or multi-family home can charge their tenants in rent. A county or municipality can, however, regulate how much rent can be charged in rental properties that they own as a county or municipality. To view the original text of Georgia’s rules on rent disclosure, please view Georgia Code Annotated §§ 13-6-15, 44-7-19, 44-7-50, 44-7-52 and 47-7-7.